DISCLOSURE: As a NCircle Ambassador, I received a free DVD for review purposes. No further compensation was provided. All opinions are my own. Post may contain affiliate links. The Cat In The Hat is a family favorite. 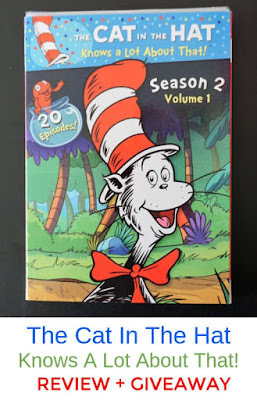 This month, we received The Cat In The Hat Knows A Lot About That - Season 2, Volume 1 to review. This DVD features 20 episodes on two discs and runs approximately 220 minutes! The Cat In The Hat Knows A Lot About That! show follows the adventures of 6-year-old best friends, Sally and Nick, as they are whisked off on extraordinary voyages of scientific discovery with the Cat in the Hat. Thanks to the Thinga-ma-jigger and our friends, exploring has never been more exciting! In this volume, kids will learn the answers to questions like what causes day to change into night, why do we sneeze, and what makes our heart beat. And the discoveries don't end there! We learn about why animal ears come in many shapes and sizes, how different animals carry their babies, who are the fastest creatures in the world, why male crickets chirp, what feathers are used for and so much more! So let's go, go, go, go on an adventure, we're flying with The Cat in the Hat today! This definitely isn't a DVD set that can be watched in one sitting. My kids got tired of it after a few episodes. But the ones they watched, they really enjoyed. I could hear my seven-year-old chuckling at some scenes. It's nice that my kids can learn while having fun. 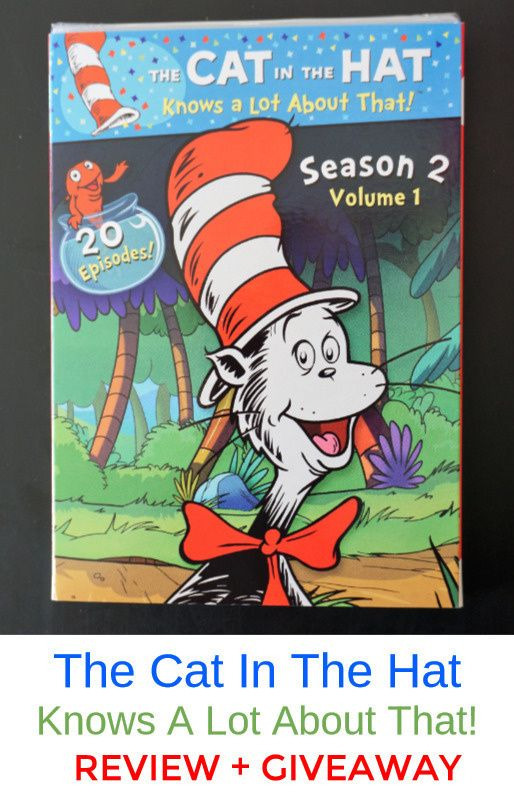 NCircle Entertainment is giving away one (1) copy of The Cat In The Hat - Season 2, Volume 1 to one lucky reader. Enter using the widget below. Giveaway ends February 13, 2018 at 11:59 pm ET. Open to US and Canadian residents. Good luck! Can't wait and want the DVD now? It's available for purchase now. Affiliate link below.